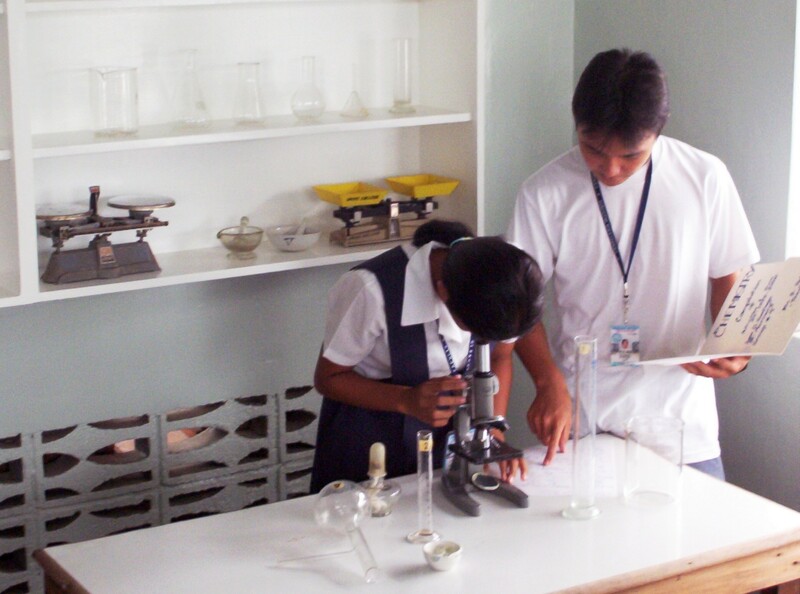 Candelaria Institute provides the following services and facilities for the students. Considered as a leraning resources center. Students are encouraged to make full use of the services for their development. First aid assistance is given tot he studetns as the need arises. A teacher is assigned to keep first aid medicines ans kit while the adviser/subject teacher concerned would also extend help. In case medical attention is necessary, the student is admitted to a hospital or clinic. Candelaria Institute has a unique set-up, thus, guidance and counseling services function/work quite differently from the traditional practices. The teacher-adviser is at the same time guidance counselor of his/her students. In terms of academic problems, teacher advisers can openly discuss the problem with the subject concerned. Subject teachers concerned likewise are encouraged to report the academic standing to the teacher-adviser. This is also discussed during faculty meetings. In terms of emotionally/psychologically/moral problems, teachers-advisers/year level advisers take time to discuss such problems and the subject could also be brought up to the attention of the faculty members/administration during their regular meetings. Classroom financial obligations-- the students has to settle the matter with teacher-adviser concerned. school fee obligation-- it is school'spolicy that such is transacted between the school cashier the student concerned. However, CIPTA has a fund to help distresses students financially as the need for it arises. Students who meet accidents while attending school will be covered with insurance plan. As a Catholic school, it is the trust of the institution to provide religious formation to its students as a means of concretizing the school's objectives on matters of faith and Christian value foramtion. Classroom lecture- Discussion on matters of faith and practices during Religious Education and Values Education or in any subject area as the need for its arises. Students are encouraged to attend daily Eucharistic celebration. Home visit and para-liturgy services for the bereaved family of their classmates or faculty/administration. Financial assistance to the distressed students who are victims of natural calamities, deaths and accidents. During religious observance like fiesta, Christmas, feast of saints, etc., students are encouraged to give monetary gifts or in kind as Eucharistic offerings. Provide a training ground for students interested in performing. Develop students' skills in communication and personality development. Inculate the value of discipline, team work, and community belongingness. Promote Filipino culture through songs, dances and stage plays. Provides equipment in performing laboratory experiments. Provides materials for students to explore in the field of science and technology. FAcilitates learning through laboratory activities. A resources center in information technology. 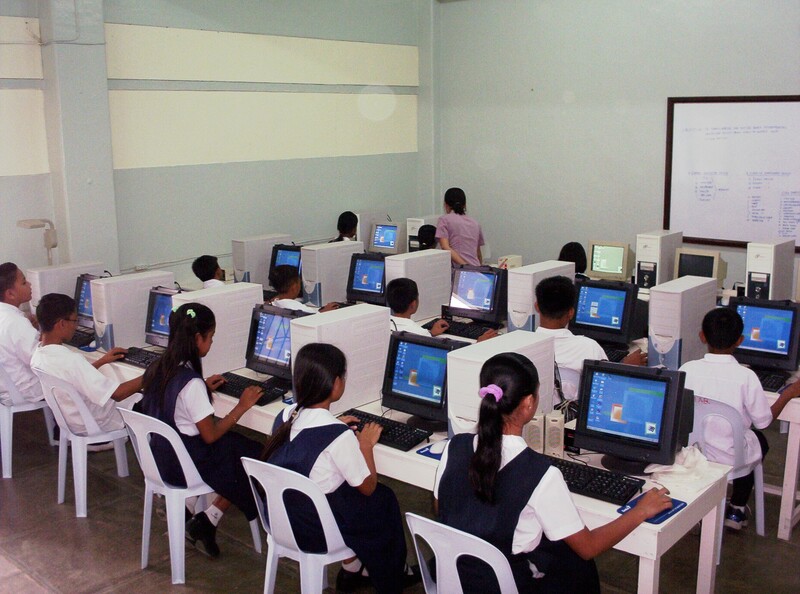 Provides the students with basic computer education. Provides equipment for athletics and sports development to foster the idea of a sound mind in a sound body. Through athletics, the students receive training of sportmanship and camaraderie. 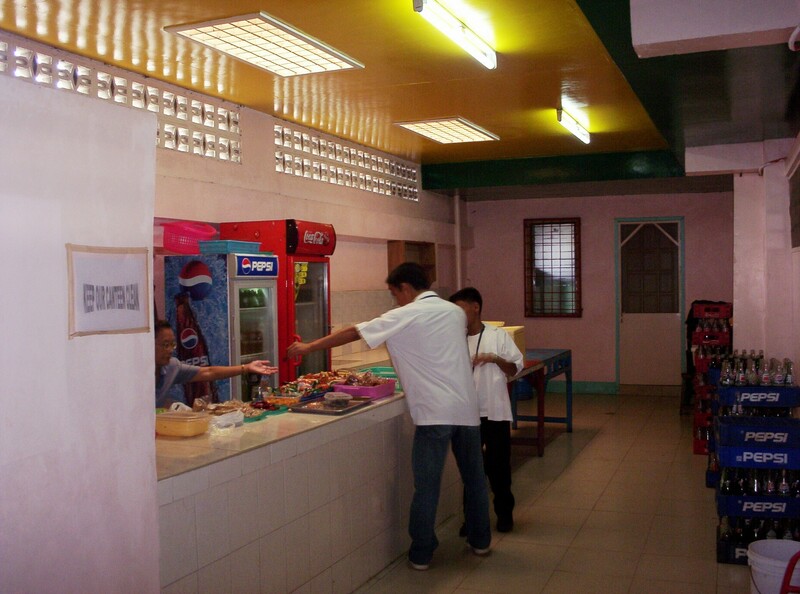 Provides food services to the students, the faculty and visitors. Gives service to the school needs of the students at a mininum price possible. To keep the students inside the school campus and to avoid their exposure to hazards from outside elements. A gate guard is assigned to protect the students, school personnel, and all properties inside the school campus.